Beats has unveiled its second generation Powerbeats headphones with a little help from US basketball star LeBron James. Imaginatively named Powerbeats2, Beats' latest headphones are a pretty big step up over the originals. 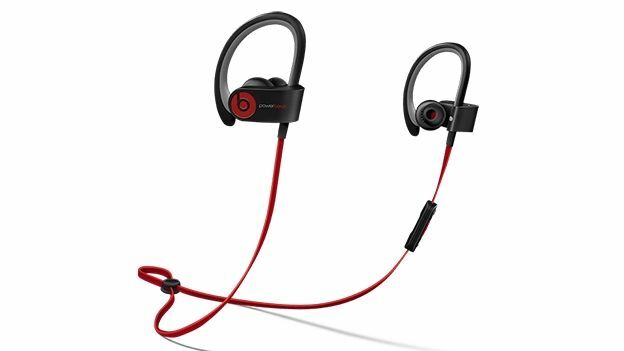 The biggest change is that Powerbeats2 are now wireless, making them Beats' first wireless fitness-focused headgear. They've also received a redesign with input from NBA superstar LeBron James. As you'd expect from headphones designed for use while working out, they come with rubberised hooks to keep them in place and a flat cable between them to stop you losing one or both. They also come with a built-in microphone for making phone calls while out and about. The wireless feature is probably going to be the biggest draw. We're fond of a jog ot two at T3 towers and can see the attractiveness of going cordless. According to Beats, the battery should last for around six hours. It also reckons they only take 15 minutes to charge – handy if you've forgotten to give them some juice before you head out. They'll arrive in the UK later this month and will set you back £169.95.